Sgt. Stubby: An American Hero DVD and Blu-ray release date was set for December 11, 2018 and available on Digital HD from Amazon Video and iTunes on December 11, 2018. Sgt. 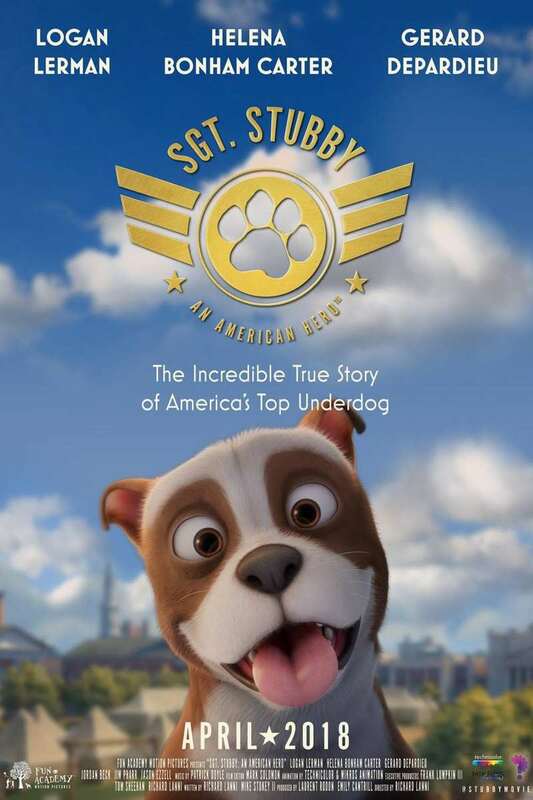 Stubby: An American Hero is a computer animated movie based on the true story of the most decorated dog in America. As World War I nears, Stubby is rescued from his life on the streets by a young American soldier. He gets love, a family and an adventure as he heads to the trenches of France with his new owner. There, Stubby aids in the fight and becomes famous for his amazing military service.